There I was, roaring down the streets in a 2019 Dodge Challenger SRT Hellcat Redeye and all 797 of its horsepower, when the song changed. I turned it up, the subwoofer thundering behind me although the audio inside of the car wasn’t too loud. I was that person. I liked it. Then, the questions started. The song that came on a local radio station was “ZEZE” by Kodak Black, which I’d only heard a few times because I spend most of my time in the car listening to reggaeton songs from the mid 2000s. Some of the lyrics were eerily relatable. I wasn’t in a Dodge Challenger SRT Demon, sure, but in the Redeye, I was about 43 HP and a few performance features away from one. I’m sure the people in my majority 55-and-up neighborhood think I do fraud, or something illegal, since I am basically a child and have a mysterious new car in the driveway every week while I’m reviewing them for work. This was my song, whether I wanted it to be or not, so I started actually paying attention to the lyrics. That’s when it really threw me off. Alright, pause. Hold it. Why would anyone, in current times, need both a Hellcat and a Demon? Current models of the Hellcat range from 717 to 797 HP, while the Demon comes in at 840 HP on racing fuel. 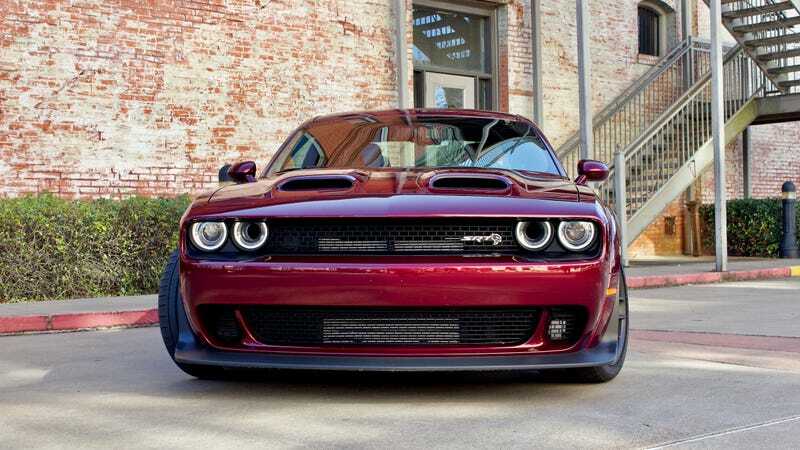 The Hellcat Redeye has most of the features that the Demon does. They’re both Dodge Challengers, with a body style that hasn’t revolutionarily changed since the Great Recession. It’s either/or with these cars, not both. Either you missed the limited production window for the Demon during its single model year, 2018, and had to go with a slightly lower-powered Hellcat, or you got in on the Demon and passed on the new Hellcat. If you had a Hellcat before 2018, you probably sold it when you bought the Demon, because having both doesn’t make sense. If you know anyone with both a Hellcat and a Demon for personal use, or have both yourself, please, enlighten me. This is a song that drops car names all the way through, so it’s probably not that serious, but I can’t stop thinking about the concept of going out and consciously buying both of these vehicles. Or either, really, because they’re kind of out of my budget. But, still.